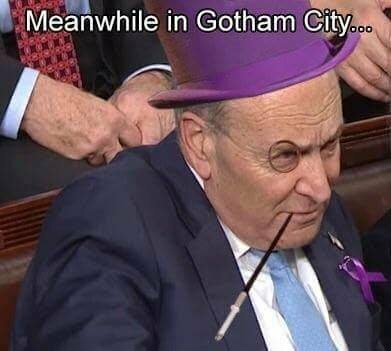 They (Democrats) along with the majority of Republicans in the Washington D.C. Beltway Politicians Club are motivated by one thing. Trump a non-politician threatens them and the inflated egos. There everything to out him is on the table. Selfish female victory over any other triumph. We’ve all met ‘em haven’t we boys. A long time ago I thought "women sufferage? of course, how is this even a question?" Now I've become a curmudgeon, and think "it all started going downhill when women got the vote, and look at the mess we're in now." 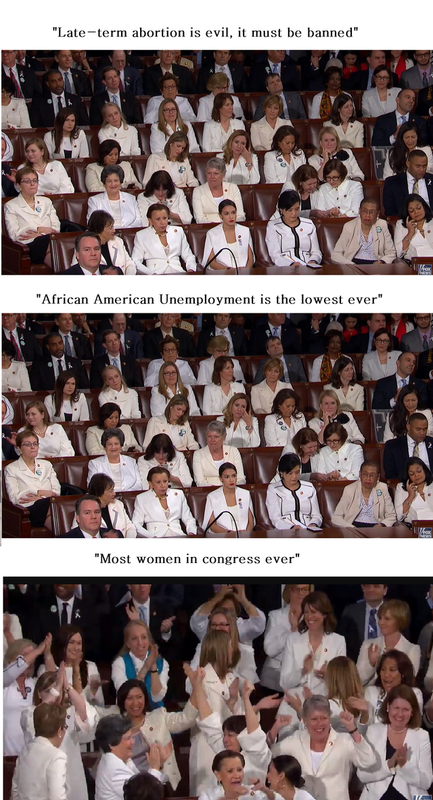 quite a few women sitting in congress were not dressed all in white. the white simply allowed us to easily find the ignorant twats in the crowd.